Niina Holappa, project manager at Prizztech, moved to Pori from Vihanti in 2005 to study tourism. – I work in development projects connected to welfare technology. My work is extremely interesting and enables learning something new continuously, Niina tells us. 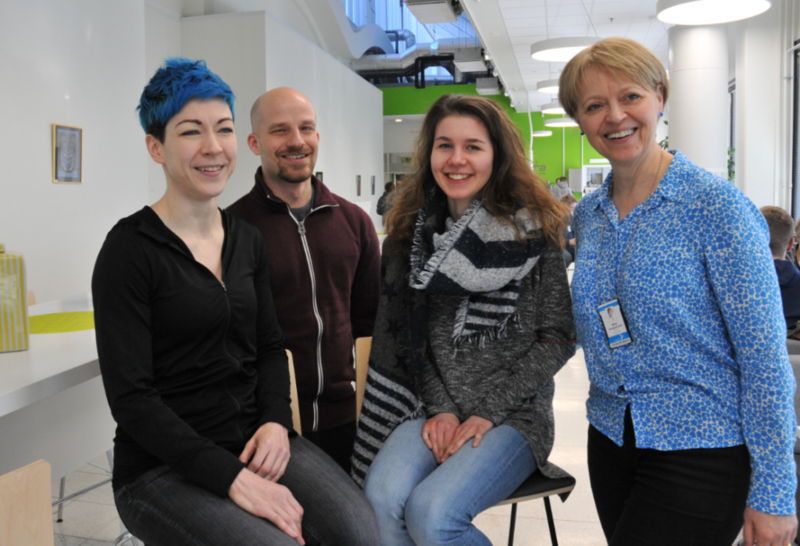 Niina Holappa graduated at the beginning of November with a Master´s degree in Welfare Technology. 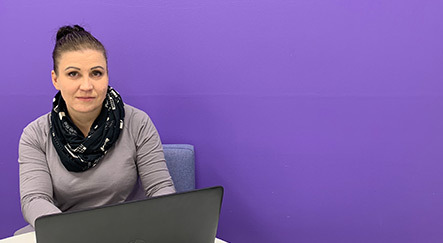 Currently Niina is working as a project manager in Robocoast R&D Center – Robotics Living Lab for Companies project, which is funded by European Regional Development Fund. One example of the projects is the just completed HYVÄKSI project where welfare technology services were tested and developed for the social and health care sector. The goal was to engage the participants in technology testing and find out how technology services should be developed to be applicable for e.g. the elderly, persons with intellectual disabilities or other people with special needs as well as professionals in the field of social services and health care. – At the moment my duties mainly focus on developing robotics in the field of social services and health care. My work includes e.g. negotiations with customers, managing technology testing including drawing up the contracts, coordinating the testing, reporting and communication as well as developing functions and project reporting. My work also includes sharing the experiences of technology pilots at different events and occasions, Niina tells us. – The customer is at the centre also in this development work. – After graduation my career path continued as a service advisor, project secretary and in 2013 I became a project manager as my predecessor changed jobs. This year I´ve been working for the same employer for 10 years, Niina recalls. – Studying tourism was interesting. We visited several companies besides studies and did assignments for the companies. It was nice that the assignments had importance for the others, too. Pori and surroundings became familiar for the newcomer when doing business cooperation. Studies in tourism offered a good basis for the transition to working life. Niina remembers especially well from her tourism studies the joint journeys abroad and cooperation projects connected to organizing different events. – Student parties and collecting overall patches were a part of those days, of course. I still remember the teachers well and meet them when walking along SAMK corridors. I have also told students of tourism about my own career path and the nature and operation modes of project work. At the beginning of November Niina graduated with a Master´s degree in Welfare Technology. According to Niina conducting Master´s degree studies has been more free in many ways and studying at your own pace besides work has been possible. Her welfare technology competence has deepened based on the studies. The latest studies have enabled getting to know new students with different backgrounds. The major value of the studies has definitely been hearing of the duties of fellow students and their everyday life in different work communities. This has broadened the concept of both social and health care services and technology. The studies have brought along many new friendships, which make Niina happy. – The competence gathered for organizing events can be seen in my main job and my “summer job” at SuomiAreena. Last summer I was organizing the event for the 11th summer, and I was in charge of the new SuomiAreena river venue. Niina is really satisfied that at her workplace there have been possibilities to advance in the career. She wants to continue developing her competence and learn new things. However, future plans remain open. 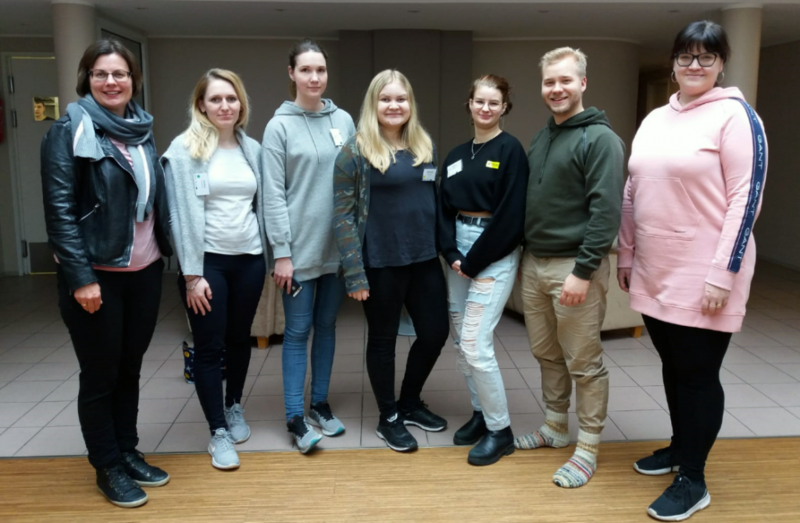 Niina recommends the degree programme in tourism because it gives a good start for the working life and can lead to very different career paths. – It is easy to get work experience in the field of tourism in advance by going to work at different summer events. It´s worth contacting the event organizers directly. This kind of work, even a short-term one, will give you a great vantage point to the behind-the-scenes of the event, teach you about the field, and you´ll get a nice addition to your CV. Remember to ask for a testimonial, Niina hints to those interested in the field. Aged people are individuals. By asking themselves, you will find out what each one likes and needs, say Sari Teeri, expert in Elderly Care, and Sari Merilampi, expert in Welfare Technology, both from Satakunta University of Applied Sciences. SAMK will establish a research centre Robocoast, R&D Center, in the Pori campus. The Regional Council of Satakunta has granted SAMK more than a million euros project money, to establish a research and product development centre for automation, robotics and artificial intelligence.